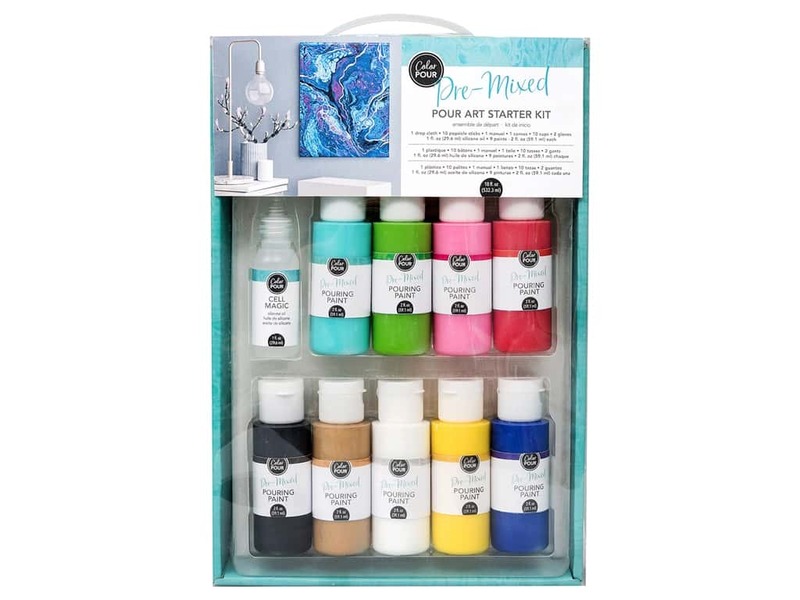 Description: American Crafts Color Pour Pre-Mixed Pour Art Starter Kit has everything you need to get going on your pour art projects right away. Kit contains one drop cloth, 10 wooden craft sticks, one instruction booklet, one canvas, 10 cups, two gloves, one 1-oz bottle of silicone oil, and 9 paints (2 oz each). Paint colors are aqua, green, pink, red, black, gold, white, yellow, and blue.